Buttery Pistachio Chocolate Chip Snowball Cookies are adorable and easy to make. They are great for cookie swaps and gift baskets. 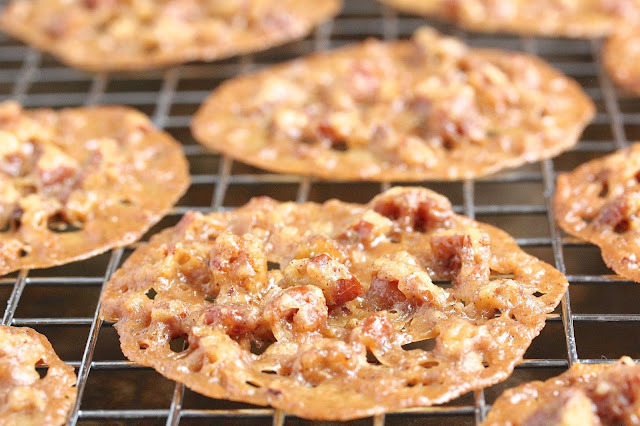 Add these to your holiday baking list this year. My boss is an incredible baker. She cranks out an unbelievable amount of baked goods each Christmas/holiday season to give to the various departments we work with at the hospital. Last year, I had the pleasure of helping her make some of the treats. Although we are scaling down on the baking this year, I am tasked with putting together a couple of goodie baskets. I wanted to incorporate a new recipe to the mix. It had to be easy to make, look semi-festive, and need no refrigeration. 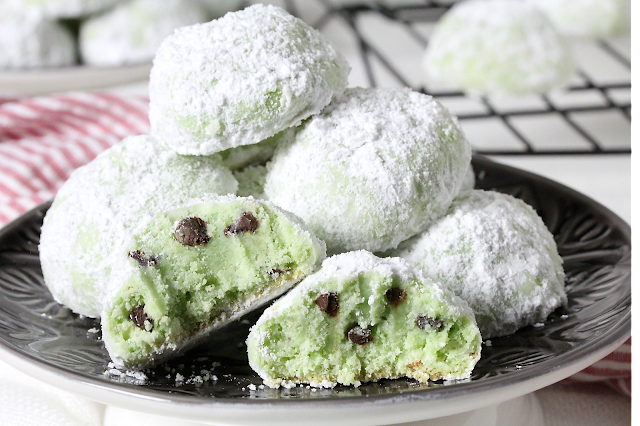 Snowball cookies fit the bill perfectly. They are light and cheery, can sit out at room temperature, and require little effort to make. These snowball cookies are buttery with a soft, crumbly texture. The addition of pistachio pudding mix gives the dough flavor and a lovely shade of minty green. Mini chocolate chips add texture and sweetness to the not-overly sweet cookie. And finally, a snowball cookie is not a snowball cookie without a coating of snow white powdered sugar, which imparts sweetness and gives it an ethereal look. These cookies are so versatile. Change flavor simply by changing the pudding mix flavor. How about chocolate fudge, banana, lemon, cookies and cream, or strawberry snowball cookies? Swap out chocolate chips for walnuts, pecans, almonds, sprinkles...so many options. 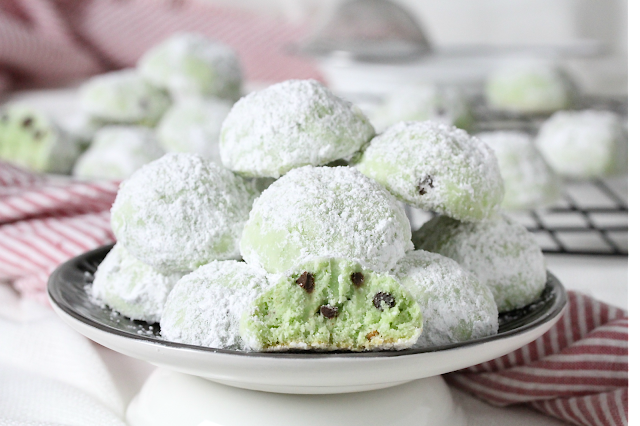 You can make a different flavored snowball cookie for each day of the week without breaking a sweat. Give this recipe a try and have fun with it! Beat butter on medium high with an electric mixer just until creamy (about 20 seconds). Add vanilla and almond extract. Beat just until combined. Combine flour, salt, pudding mix in a small bowl. Add to butter, 1/3 at time, beating until blended before adding more. Beat last addition until well blended. Stir in chocolate chips. Scoop dough using a small ice cream scoop or a tablespoon. Roll into a ball using hands. Place onto a tray. Cover with plastic wrap. Refrigerate for 2 hours. Place dough at least 1-inch apart onto an ungreased baking sheet. Bake for 12-15 minutes until the bottom of the cookies are lightly brown. Do not over bake. Allow to cool on baking sheet for 3 minutes. Transfer onto cooling rack. Roll in powdered sugar while warm. Cool completely. Roll again in sugar when completely cool. Chilling of the dough is optional. I like to chill the dough to firm up the butter, which prevents spreading while baking. 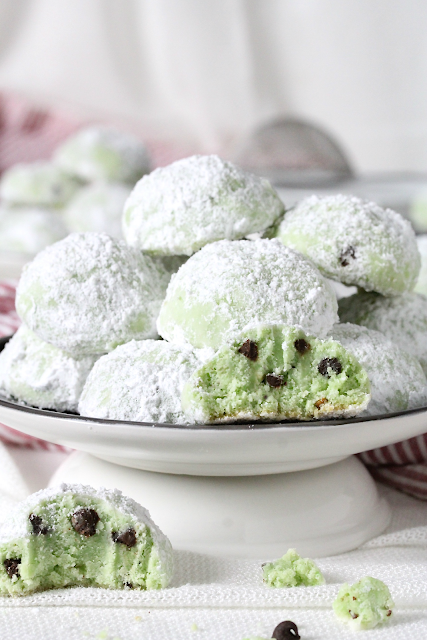 If you prefer cookies that are not too sweet, omit the first roll in powdered sugar while the cookies are warm. Roll only once, when cookies are cooled. Haha! They are the best kind of snowballs...the sweet ones you can chew on! So cute! Love the green colour from the pistachio pudding mix. I can see myself adding red M&M's or red sprinkles so that the snowballs will be green and red (and extra festive!) I'm adding this to my list of cookies to try. Thanks Danielle. 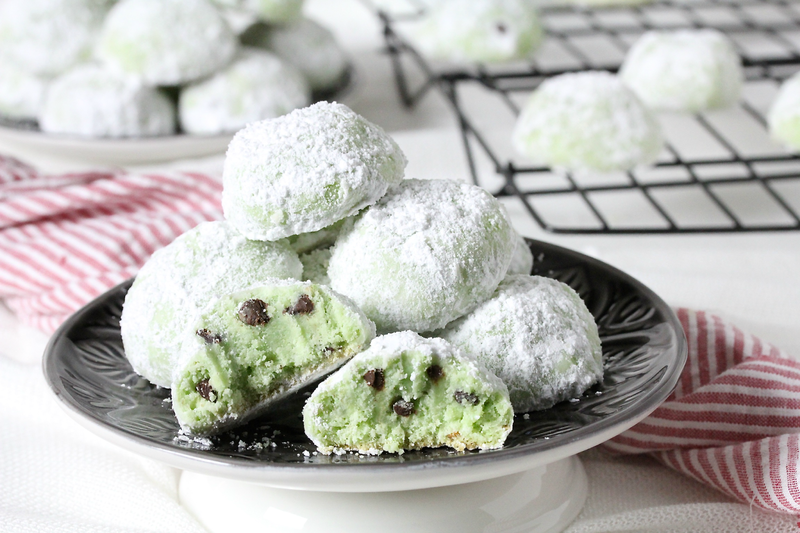 With all the flavor options available, pudding snowball cookies is the way to go!